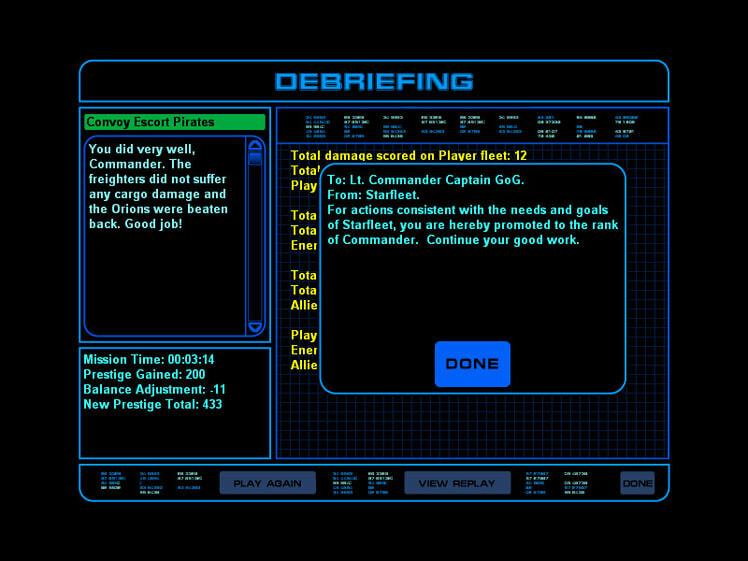 Based on a strategy board game, Star Fleet Battles, Star Trek™: Starfleet Command Gold Edition puts you in the captain's chair of a frigate. Each successful mission gains you prestige and furthers your career. Experience a 30 year campaign that can take you as far as becoming a Rear Admiral in control of a task force including Destroyers, Heavy Cruisers, and Dreadnoughts. 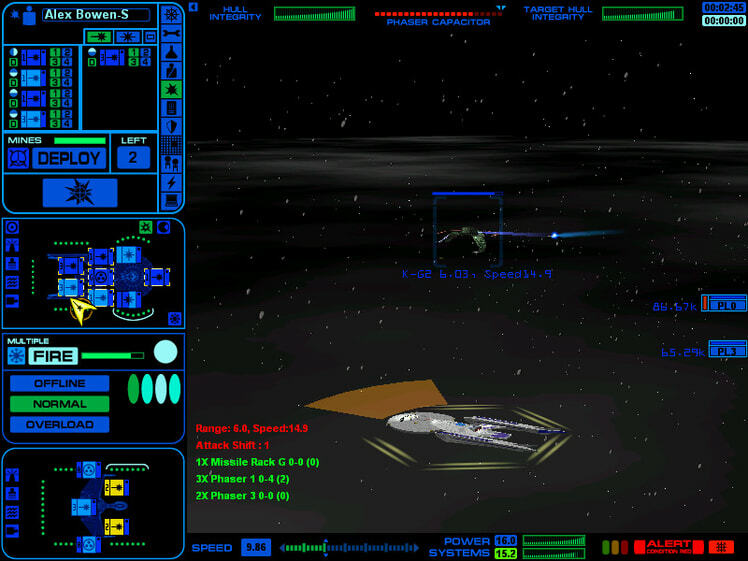 Discover uncharted Nebulae, maneuver through dense asteroid fields and belts or battle at the fringe of a black hole. The different types of terrain require commanders to exercise additional caution and skill. 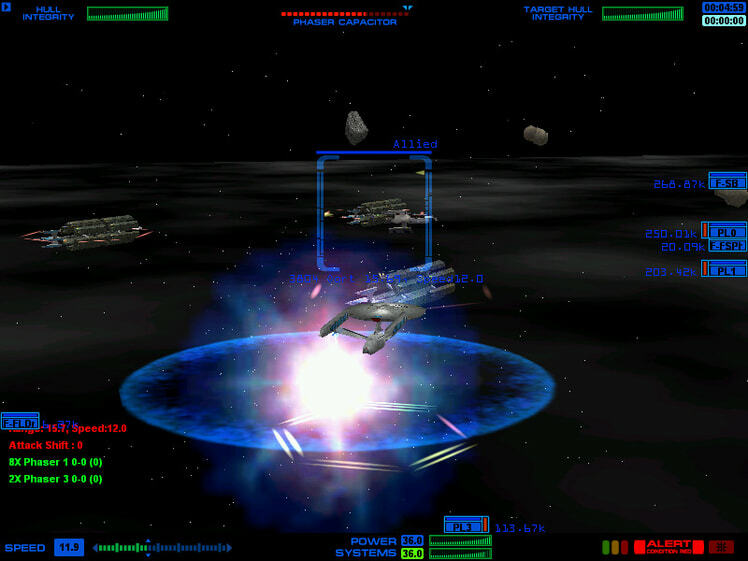 Maneuver to keep your target within the arc of your weapons, but remember that these are massive ships and you will have to plan ahead. 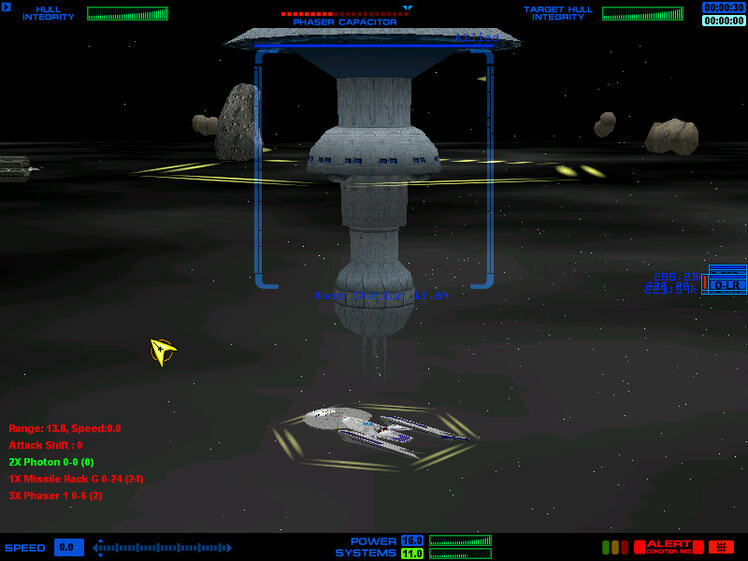 Between campaign missions refit and repair your ships at Starbase. Recruit new officers or send your trainees back into the officer pool to earn additional prestige. 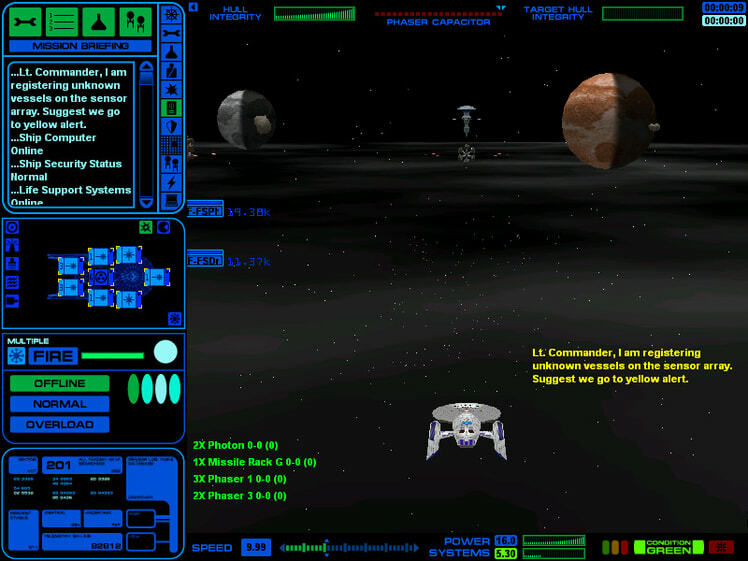 Command over 50 unique campaign missions generated by the Dynaverse engine, or reenact classic scenarios from the original series. Pledge allegiance in the Klingon Empire, the United Federation of Planets, the Romulan Star Empire, the Hydran Kingdom, the Gorn Confederation or the Lyran Star Empire. 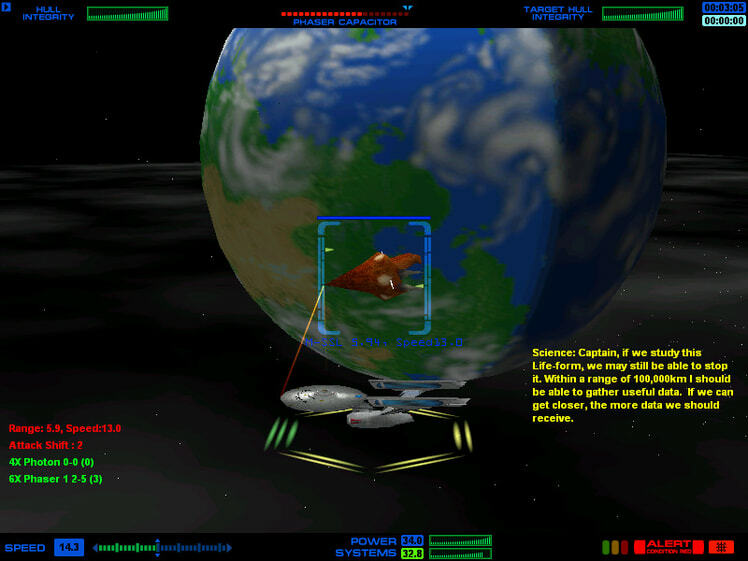 Gold Edition features an additional 3 new Federation missions, 3 new Klingon missions, 10 new Hydran missions 7 new Gorn missions, 3 new Romulan missions, and more! 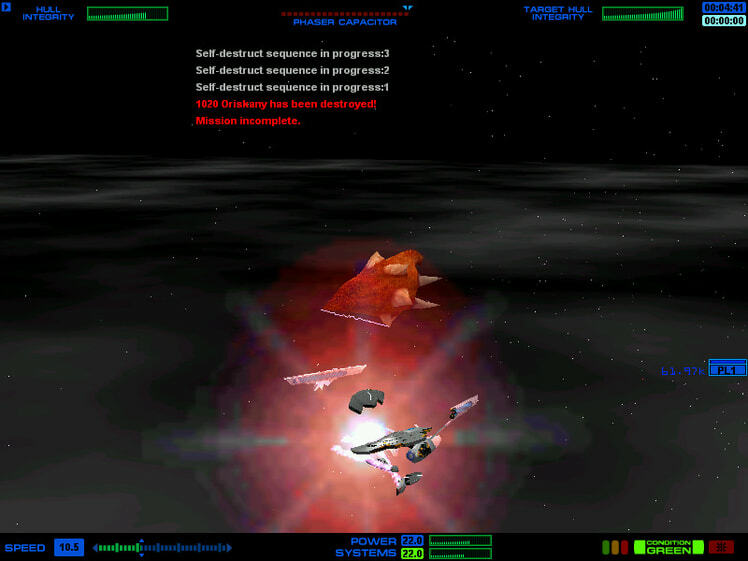 Finally, a starship combat game worthy of the name Star Trek. 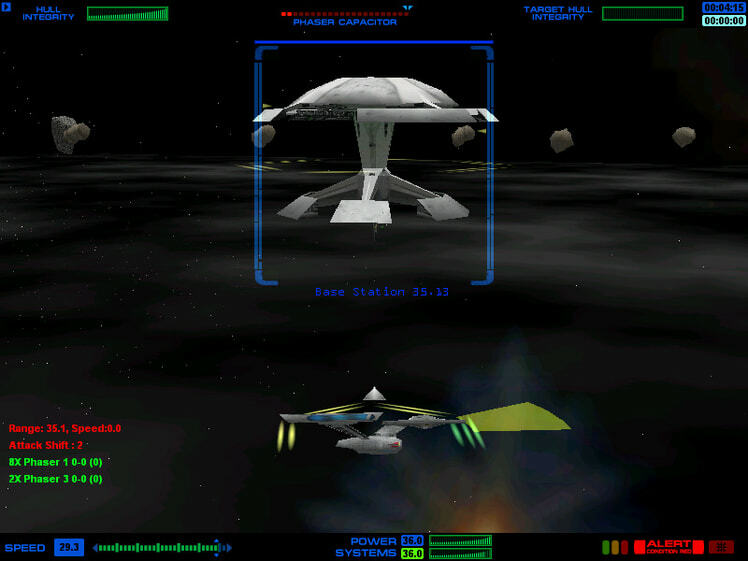 Star Trek: Starfleet Command puts you in the captain’s chair for an amazing real-time space combat experience. Pledge your allegiance to the United Federation of Planets, the Klingon Empire, the Romulan Star Empire, the Hydran Kingdom, the Gorn Confederation or the Lyran Star Empire. Every good tactician knows there's a fine balance between speed and raw power. 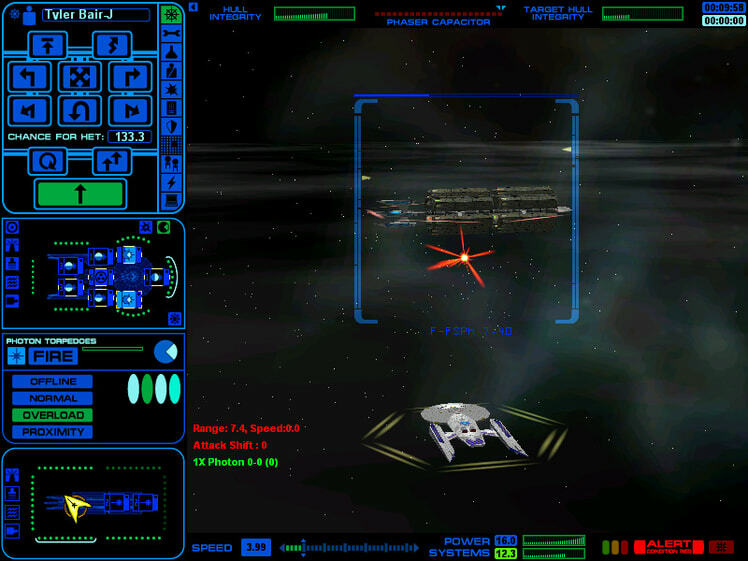 Choose from four classes of ships and over 50 3-D rendered hull designs. Experience a 30-year campaign that takes you from Lieutenant Commander of a Frigate to a Rear Admiral in control of a task force including Destroyers, Heavy Cruisers and Dreadnoughts. Multi-function display panels offer instant access to critical systems: Sensors, Weapons, Shields, Transporters, Marines, Mines, Engineering, Science and Energy Management. 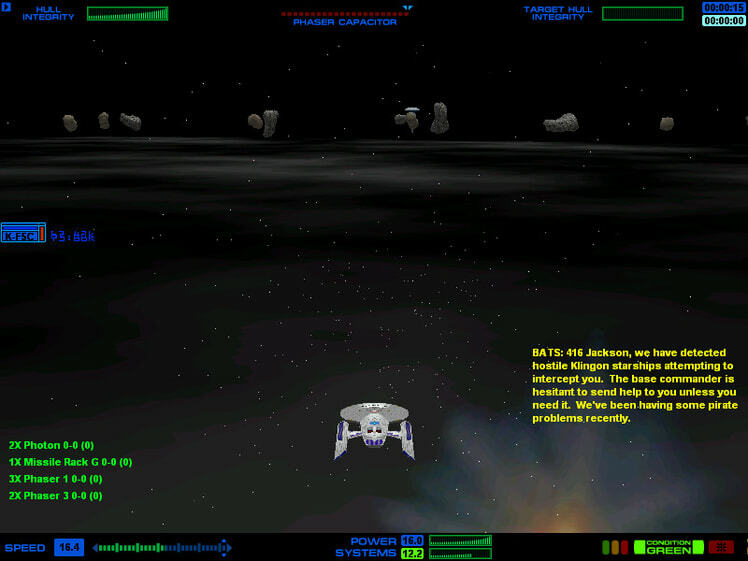 Challenge yourself with dozens of unique missions created by the Dynaverse engine or re-enact classic scenarios from the Original Series. 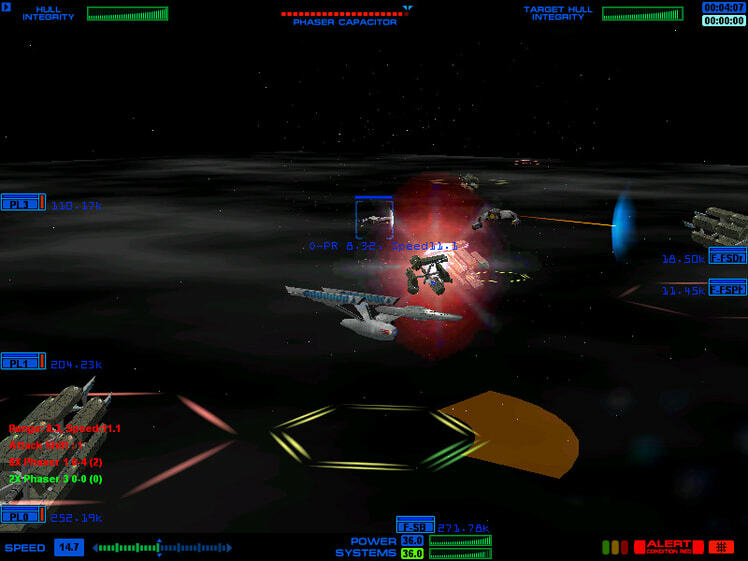 Numerous multi-player options include “Pass the Tribble” and cooperative Starbase Assault with up to six players. Or go head-to-head over various network connections.